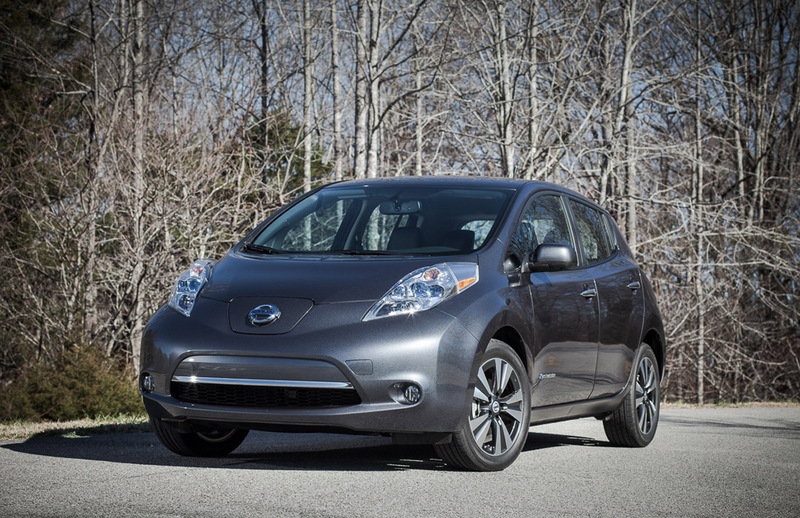 Nissan has announced that U.S. pricing for the new 2013 Nissan LEAF will start at an MSRP of $28,800 for the newly-added S grade, making it the lowest priced five-passenger electric vehicle sold in the United States. Depending on location, some consumers may purchase the vehicle for as low as $18,800 with qualifying federal and state tax credits, putting the LEAF on par with gas-powered vehicles of its size. Nissan's objective for the LEAF has always been to produce an affordable zero-emission vehicle for the mass market, and the 2013 LEAF is a prime example of that commitment with increased value at every trim level, making it more accessible for more people. "With nearly 50,000 LEAFs on the road globally, we are the leaders in zero emissions vehicles and our class-leading product just got better," said Billy Hayes, Global vice president of LEAF sales for Nissan. "From the very outset, Nissan has continuously advanced and refined the affordable zero emissions vehicle ownership experience. Now customers won't have to pay a premium for owning a green car that's really fun to drive, and that's exciting." Nissan recently began U.S. assembly of the 2013 Nissan LEAF at its manufacturing plant in Smyrna, Tenn., a localization initiative that further drives efficiencies by leveraging already-existing equipment and processes while also reducing exposure to fluctuations in foreign currency. The battery packs that power LEAF are built in an adjacent facility in Smyrna while the vehicle's electric motor comes from Nissan's powertrain plant in Decherd, Tenn., further supporting efficient manufacturing. Eligible consumers can take advantage of a $7,500 federal tax credit, and some states and municipalities offer additional incentives. For example, California residents can get a 2013 Nissan LEAF for as low as $18,800 after the federal tax credit and state rebate of $2,500. Nissan will also continue its lease offer for the 2013 LEAF, allowing consumers to lease the electric vehicle for as low as $199 per month for 36 months, which includes tax credits and destination charges. Additions to the 2013 LEAF include: 17-inch alloy wheels and leather appointed interior on SL models, available Around View® Monitor and 7-speaker Bose® energy efficient audio system and a 6.6 kW onboard charger that significantly reduces 220V charging times and is standard on SV and SL models.